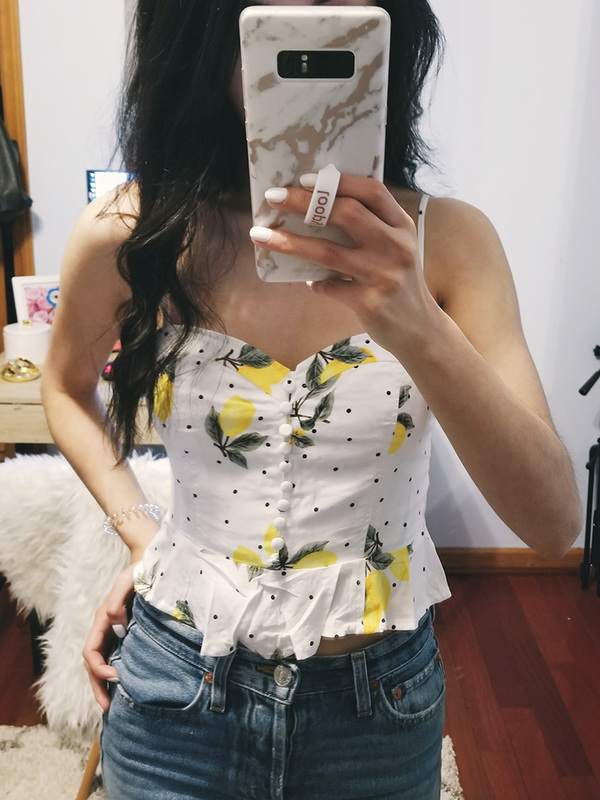 I am o b s e s s e d with this lemon top. 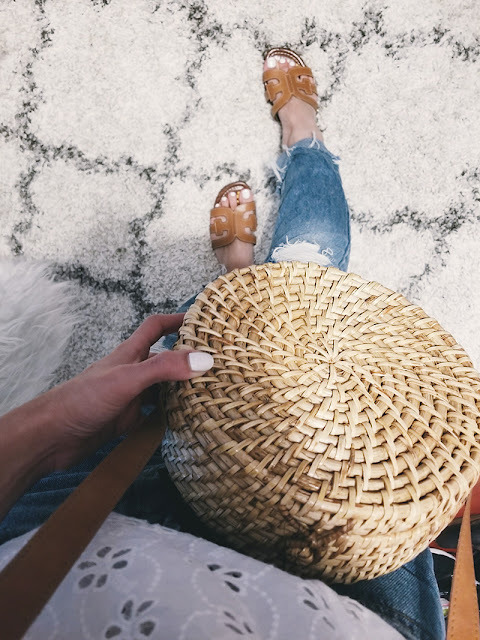 You guys know polka dots are popping up everywhere this spring and lemons have been a thing for the last couple years so this was a no-brainer. The material is very lightweight and thin but it's not sheer and the fit is good. For the price, the material is really thick and sturdy. 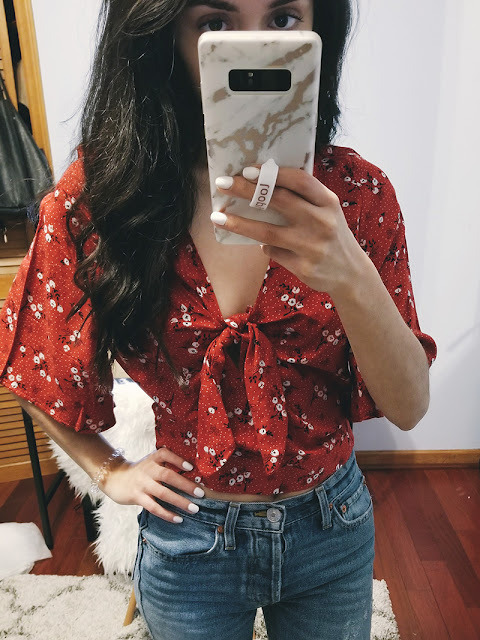 This will be super cute with super high waist jeans/shorts in summer! This one is very similar to the one above but I like this one more because it's longer and I can wear it more! The material is super soft and I would buy it in every color IF the straps fit me better. 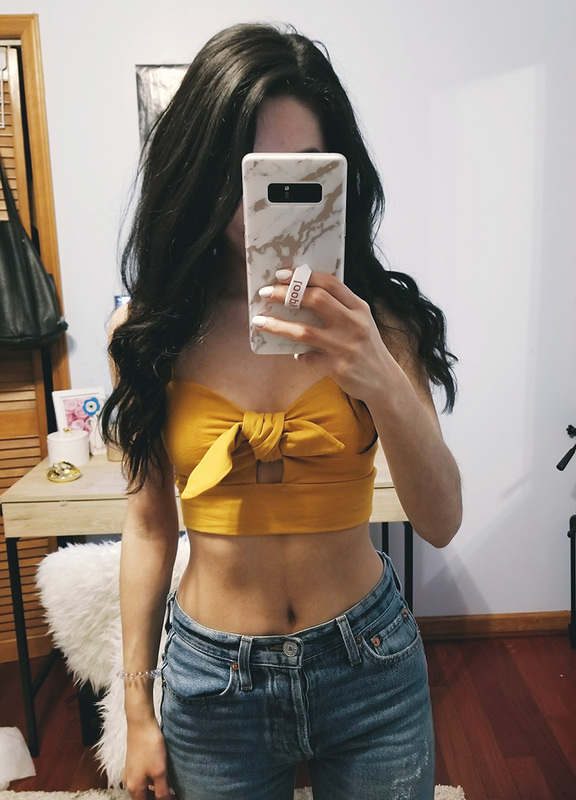 The straps are too long and it makes the shirt more low cut (you can't really tell because I pulled it down from the back). I would return it but I don't want to go through that hassle so I will probably figure out how to shorten them a little bit. If you guys have any tips, let me know! 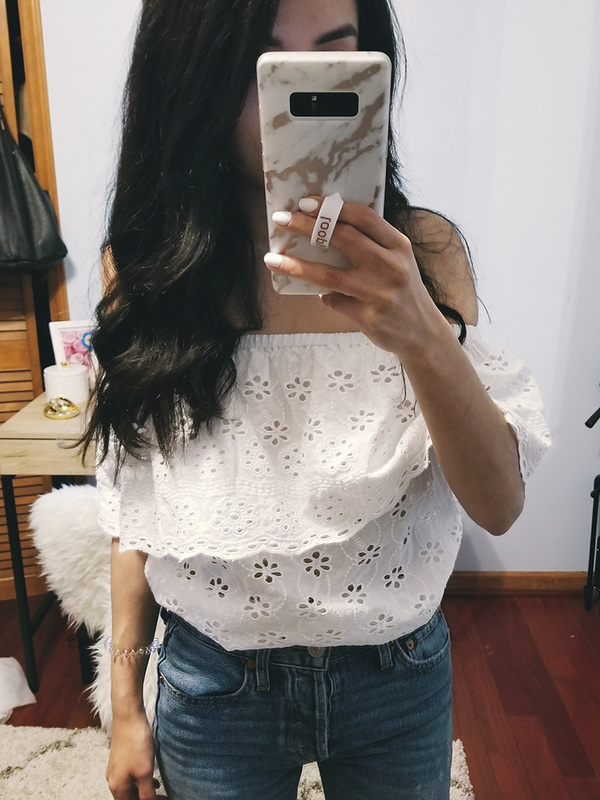 I really love white tops for spring + summer because they look so good against tan skin! 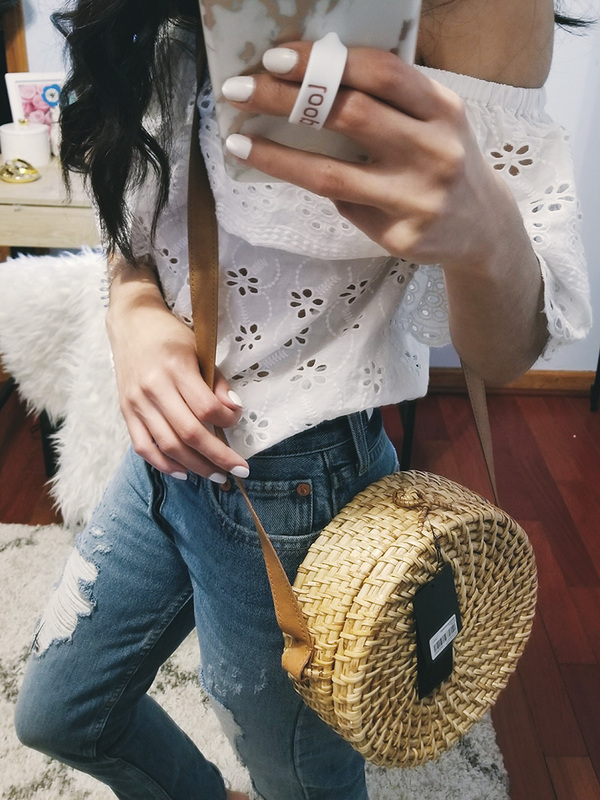 I am LOVING straw bags right now. I wanted a round one for a while but a lot of them were over $50 and then a friend showed me this one and I had to have it. It sold out online very fast but they might have it in stores. It had a really strong chemical smell and the strap feels a little flimsy but it still cute. I'm not really a floral girl but I loved the color and pattern on this. 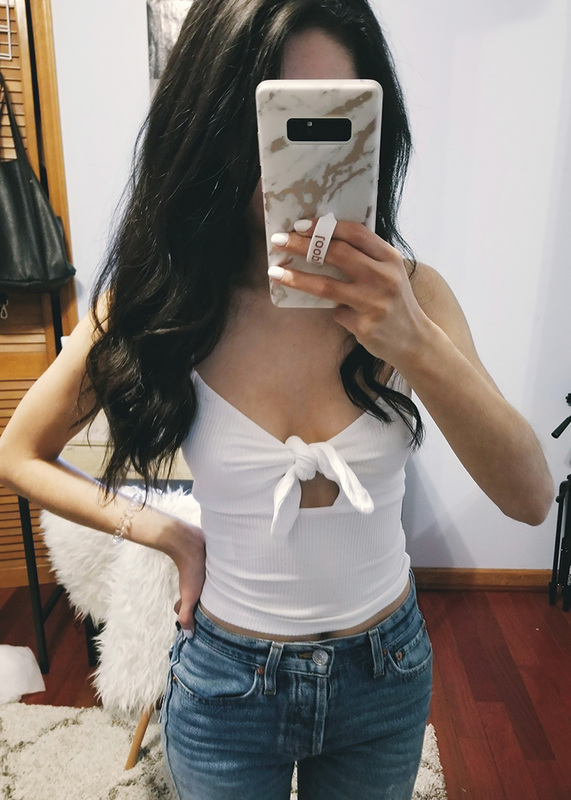 Apparently, I have a thing for tops that tie in the front too haha. Blue + white look so good together! 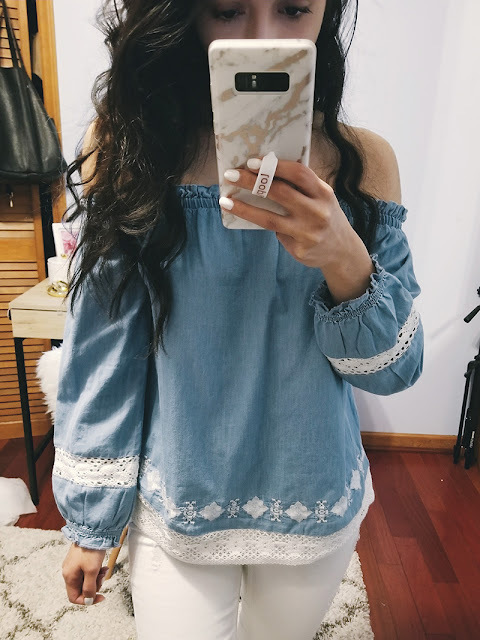 This top looks amazing with white pants and tan sandals. Add a cute straw bag and you're good to go.